Personal tailoring is, without a doubt, the most magnetic vogue of the past five years. Since the New Dawn of the mid-noughties, the process of ‘getting something made’ has come on leaps and bounds. Before this renaissance, tailoring only really existed in a few limited worlds. The most splendid of all, Savile Row, provided but small inspiration. The grand and dusty emporiums that make its name, rich with history and fame, lacked the democratic touch; the numbers in the ledgers forbade its bespoke experience to all but a privileged few. New tailoring was inspired by the lack of something, not the presence of it; the void between off-the-rack and the Row. In addition to the new firms that sprouted to take advantage of the interest in competitively priced made-to-measure and bespoke suiting, bigger brands realised that they couldn’t be left behind. If customers started walking through the doors asking for ‘tailoring’, it would do the brand identity no favours if none could be offered. 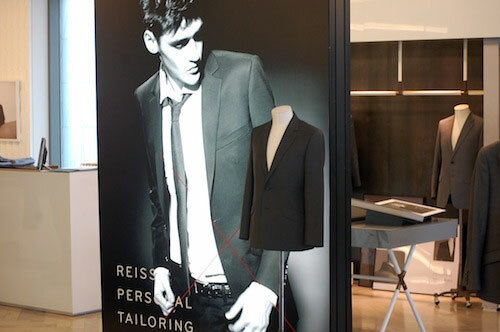 Reiss have been quietly offering made-to-measure suiting for about three years. Unlike other premium high-street retailers, they haven’t really embellished their personal tailoring offer. There is no inaccurate guff about ‘full bespoke suits’ in their materials and their assistants rather bluntly referred to “the generic Reiss block” as being compatible with my frame. In fact, the explanation of the product is very simple and honest. There is one small book of swatches of mostly pure wools, with a couple of cheaper poly-wools, and you’ll find most of them on the racks of suits in store. It isn’t a particularly varied book; there are few loud patterns, virtually nothing original. Slate grey and blues dominate, very much within the Reiss standard. Beyond that, there are only five or six further stages to consider: choosing a suit or separates; a jacket style – tuxedo, one button, two button or double-breasted; a peak or notch lapel; slanted or straight pockets; cuff buttons; vents and trouser pleats. The only real problem with the product is that it won’t suit those who have their eye on natty fabrics, or interesting cuts; they can add a waistcoat, but only a single-breasted six button and if you want a suit like those worn by Steve Buscemi in Boardwalk Empire, this is not for you. However, for a great number of people, this is what they want from tailoring. A brand with high street presence that can offer fairly standard, slick-looking suits fitted to your frame – for a slight premium on the off-the-rack version. The swatch book is simple and the pricing transparent. It might not have the gilded glamour of an 18th century dressing room or the romance of a Parisian artisan but Reiss’ quiet personal tailoring service deserves a little amplification. From what my old man says there were many tailors during the 60’s that provided bespoke MTM suits, shirts and accouterments for acceptable prices, certainly in his native Glasgow. It was quite normal for the mods of the day to have their flamboyant accessories together with a sharp suit. It’s not quite as easy now to find a good tailors in the fair city that won’t cost one a veritable arm and a leg. 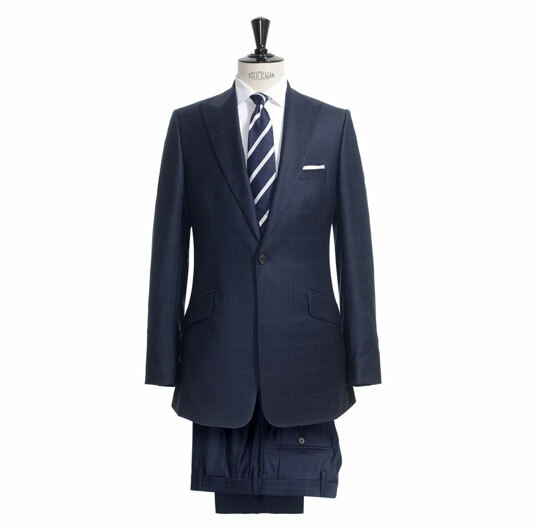 You could get full bespoke worsted for £600 from most tailors. I know what I’d rather go for. Though their numbers are greatly reduced, don’t forget the humble high street tailors, who can still be found in most big cities. I got the bespoke bug as a hard up mod in the eighties and continue to use a high street tailor today. They generally provide better quality and fit than the big chains at often very little more in outlay. On the subject of Reiss though, I agree. I’ve always found their clothes to be very well made for a chain, though lately they seem a touch too enamoured of the fashion world.